PIM-SM, Auto-RP protocol | CCIE, the beginning! As we have seen in a previous post (PIM-SM static RP) manually configuring a Rendez-Vous Point RP is very simple and straightforward for small networks, however in relatively big networks static RP is a burdensome procedure and prone to errors. With static RP configuration, each PIM-SM router connects to the preconfigured RP to join the multicast group 224.0.1.40 by building a shared tree (RPT) with it. PIM-SM routers have to join the multicast group 224.0.1.40 by building a shared tree (RPT) with the RP to be able to learn the address of the RP ??!??? a) One solution is to statically configure an initial RP to let PIM-SM routers join the group 224.0.1.40 and may be learn other RPs that could override the statically configured one; again a manual intervention that break the concept and the logic behind “dynamic” learning, and what if the first (initial) RP fails?? The group-list serves as a protection mechanism against rogue RPs. b) Finally the origin of this issue is how to join the first two multicast groups 224.0.1.39 and 224.0.1.40, so what if we use PIM-DM for that purpose? Here comes the concept of PIM-SPARSE-DENSE mode: the multicast group 224.0.1.39 and 224.0.1.40 are flooded to the network because all PIM-SM routers need to join them (this is consistent with Dense mode concept) with PIM-DM and then all other groups will used the dynamically learned RP. With this particular PIM mode it is possible to configure from the RP which groups will use sparse mode and which groups will use dense mode. Figure1 illustrate the topology used in this lab. A best practice is to enable PIM sparse-dense on all interfaces that susceptible to forward multicast traffic. R2 the mapping agent is receiving RP-announces from both RPs R5 and R3. Updated its records and send them to all 224.0.1.40. R2 has both records about R5 and R3, but selected R5 as the network RP because of its higher IP address. R1 the source PIM-SM has already joined the multicast group 224.0.1.40, thereby it is now able to receive RP-Discovery from the mapping agent R2 and it receive only the elected RP R5 (10.5.5.5). The same for R4 the PIM-DR (directly connected to multicast client). The multicast source connected to R1 start diffusing multicast group traffic 239.255.1.1 and the client connected to R4 is receiving it. Both R1 and R4 now has the correct information about the RP and the group it serves 239.255.1.1. R1 has registered itself with the RP through a source path tree SPT and R4 has joined the shared tree RPT with RP and received the first multicast packet from forwarded by RP. Now R4 can build a direct SPT as the path through RP is not the optimal and start receiving multicast traffic directly from R1. – (*, 224.0.1.39) and (*, 224.0.1.40) are flagged with “D”, it means that these two groups has been joined using “Dense mode” for R4 to be able to learn dynamically about the RP using 224.0.1.40. – (*, 239.255.1.1) This is the RPT, the shared tree used to join the RD in the first phase before switching to SPT, hence the “stopped” timer. – (10.2.2.2, 224.0.1.40) this SPT is used between R4 and R2 (mapping agent) to forward 224.0.1.40 group multicast traffic that carries the information about the RP. – (*, 239.255.1.1) this is the shared tree between the RP and all PIM-SM routers that wants to join the specific group 239.255.1.1. – (10.10.10.1, 239.255.1.1) is the SPT built between R1 and R5. To simulate RP failure in this particular topology R5 loopback interface serving as RP IP address is shut down, so R5 will no more act as RP but R5 still forward the traffic. R2 received R3 RP-announce messages, but haven’t not received R5 RP-announces for 3 x (announce interval) = 180 seconds, so mapping information about the group 239.255.1.1 is expired, consequently RP R3 is selected as the RP for the group and forwarded to all PIM-SM through RP-Discovery. The mapping agent is receiving again RP-announce from R5 (highest IP that actual RP address of R3) , so select it and send through RP-Discovery to all PIM-SM. R1 and R4 updates their group-to-RP mapping information. *Mar 1 10:15:30.273: Auto-RP: Build mapping (239.255.1.1/32, RP:10.5.5.5), PIMv2 v1. *Mar 1 10:15:30.277: Auto-RP: Build mapping (239.255.1.2/32, RP:10.3.3.3), PIMv2 v1. 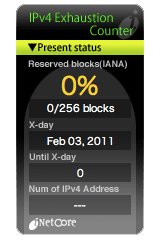 R2 has received the RP-announce (on 224.0.1.39) from both RPs with the relevant groups, (-224.0.0.0/4) means that the RP is blocking all the remaining multicast traffic. R4 has received RP-Discovery messages from R2 the mapping agent. and any other multicast traffic will be dropped. PIM Sparse-dense mode use Dense mode to multicast groups 224.0.1.39 and 224.0.1.40 traffic so PIM-SM routers can join them and dynamically learn about RPs to join other multicast groups this time using PIM-SM mechanism. quite good explanation. Thaks for sharing it. Thanks a lot for sharing such a nice post.